Raymond Arthur DeMoss, 81, returned to his heavenly home on September 7th 2018, after a valiant battle with lung cancer. His devotion to his family and his firm belief in God supported him in his struggle and ultimately gave him peace. Ray was born to the late Stella DeMoss and Vernon Kenyon, in Olympia, WA on November 14, 1936. Raymond was adopted at an early age by Charles DeMoss. The youngest child of 3, he is preceded in death by both of his sisters, Janet Smith and Alois Voss. Ray joined the Marine Corps in 1953, after a tour in Okinawa Japan, he was released in 1956. He tried his hand at quite a few jobs, including lumber mill worker, postal delivery, and general handyman. His career culminated as a funeral director which he found much enjoyment in. Ray is survived by Erlinda, his three children Erik DeMoss, Tasha Orr, and Ernie Ayudan; 11 grandchildren and 1 great grandchild. To send flowers or a remembrance gift to the family of Raymond A. DeMoss, please visit our Tribute Store. A Graveside Service and Reception will follow. 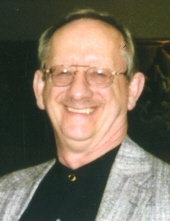 "Email Address" would like to share the life celebration of Raymond A. DeMoss. Click on the "link" to go to share a favorite memory or leave a condolence message for the family.